I am so excited to introduce you to Brea Marie Creations, fashionable baby accessories and monogramming. I am telling you, this etsy shop is FULL of shabby chic cuteness for any mom! 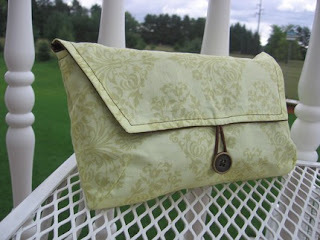 Sherrie makes all of her items with up to date fabrics and styles. Take her bags for example, so chic! I think any women would love one of these! Next, take a look at her diapers/Wipes carriers. They could also be used as a small purse! Love it! and unroll to soft cuteness when you need it. Now, lets check out the burp cloths. 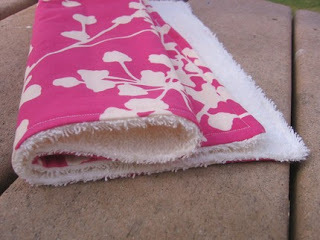 Designer fabric on one side, soft terry cloth on the other... perfect! She also makes Nursing Covers. 360 degree coverage... 360 degrees of style. She also offers personalized monogramming to make your item truly unique! Can you believe that she is doing a GIVEAWAY here?!?! this Pink Fountain(Amy Butler) diaper/wipes carriers. 1.) (Mandatory) Go to Brea Marie Creations and come back here and comment with your favorite item. 2.) Mark Brea Marie Creations as a favorite on Etsy. Come back here and leave a comment saying "I heart Brea Marie Creations." 3.) Become a follower of Fireflies and Jellybeans (If you already are it counts too) Leave comment saying "I am a follower!" 4.) 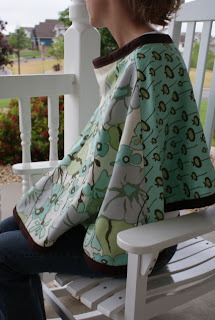 Make a purchase from Brea Marie Creations (5 entries). Come back here leave 5 comments saying "I made a purchase! I got !" 5.) Blog about this give away (3 entries) come back here and leave 3 comments saying "I blogged about this giveaway at !" That leaves 11 chances for you to win if you do all of this things! This giveaway is open until Friday (10/2) Midnight (CST). I will post the winner on Saturday. 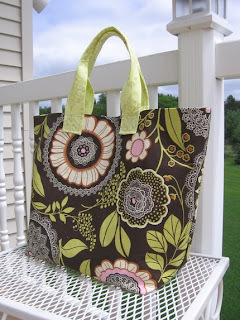 I love the Amy Butler Brown Floral Hand Tote! so pretty! I am also a follower of this blog!!! I heart Brea Marie Creations! I love the Pink Fountain Bag. She is very creative! 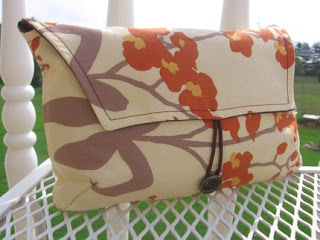 My favorite is the Brown Floral Bag in the etsy shop! 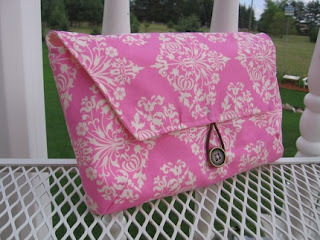 My favorite is Amy Butler Deco Rose - Large Tote. I think that is so pretty. I'm drooling over that Amy Butler Brown pleated bag. super fun! 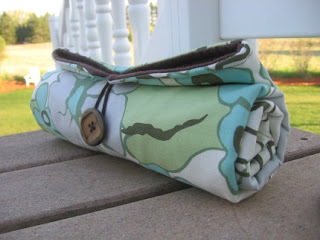 Green Lili Large Dipes/Wipes Carrier is my favorite. I also love the 360 degrees nursing cover. Ingenious! 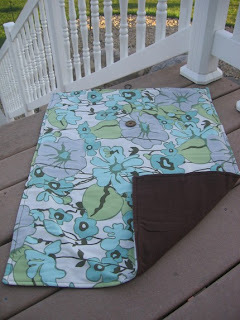 I love the Seafoam Frest Start Changing Pad. Everything is so pretty. I am a follower! And I think the changing pads are pretty nifty! 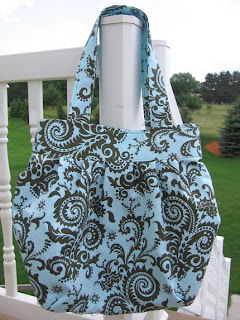 Green Amy Butler fabric, Mid-Size Tote is my favorite. I LOOVE the Amy Butler Blue Fern Bag! DEFINITELY my favorite! I'm becoming a follower today of your blog!